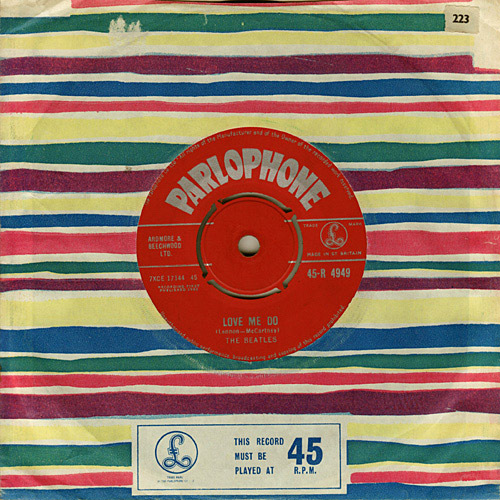 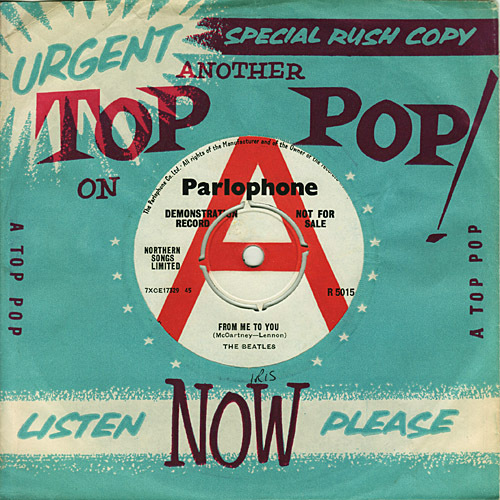 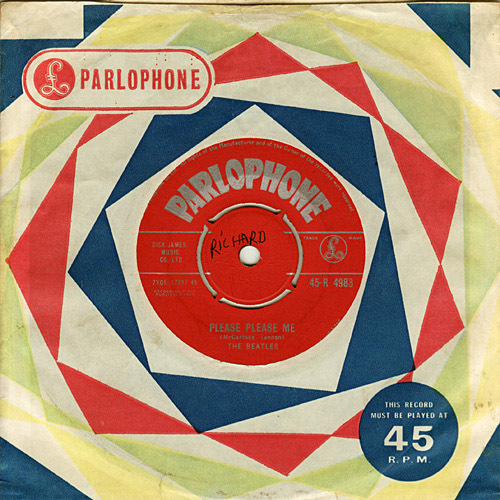 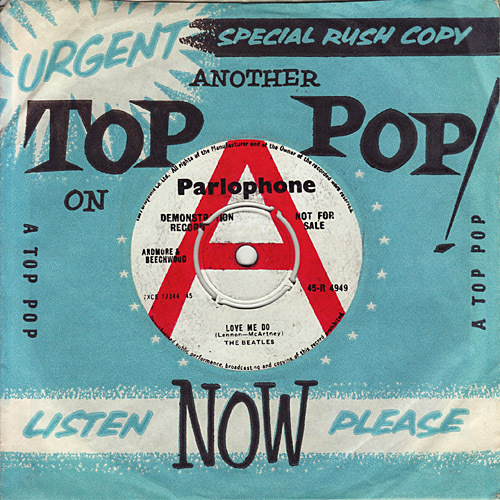 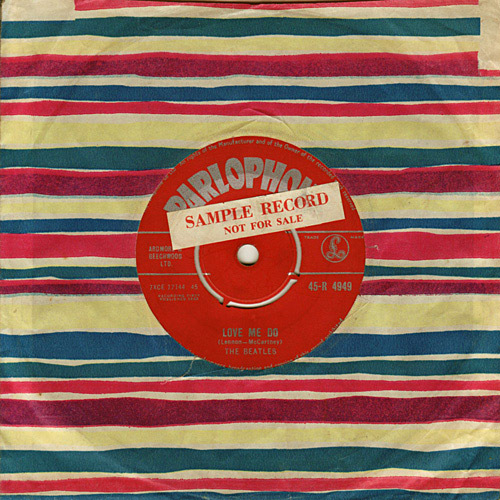 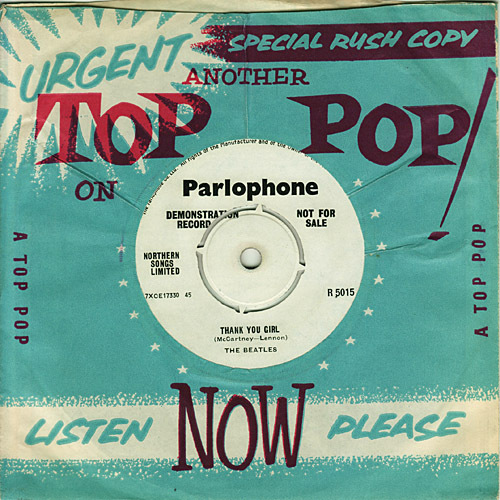 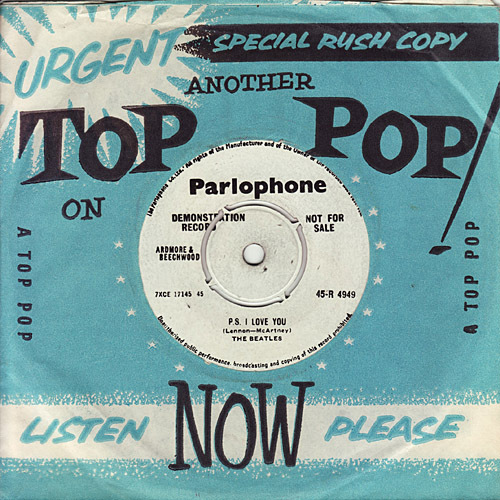 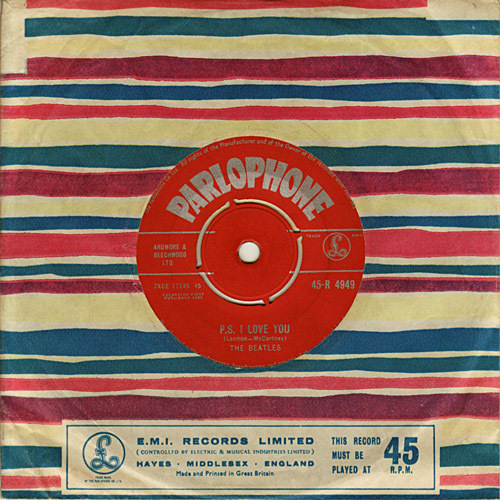 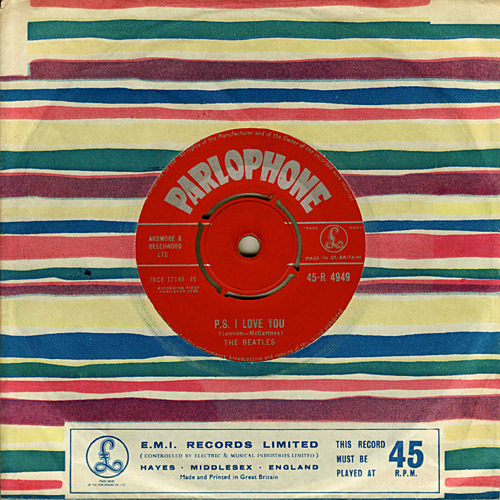 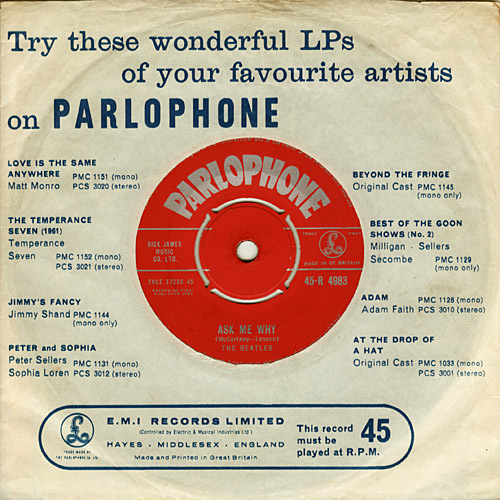 Demo's from "Love Me Do" untill "A Hard Day's Night" would have featured a blue, yellow or red sleeve. 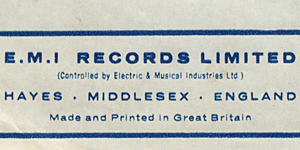 Slight curve cut at top. 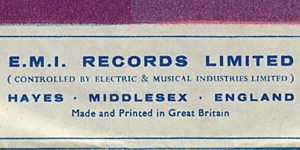 Slight curved cut at top.